Clear Sky Medical is Denver’s choice for non-surgical body sculpting. For over ten years we have offered services ranging from cellulite reduction to injectables to restore your full youthful look. Body-shaping technology is a rapidly growing, replacing certain procedures in plastic surgery. One reason for this change is the lower costs, lower risks and minimal downtime. As we age we lose fat from our face, this can cause wrinkles to become more pronounced, or make us look older in general. This phenomena can be slowed through the use of fillers. 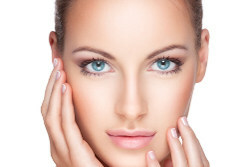 We offer many injectable fillers such as Sculptra, Belotero and Botox. See our page here for more on dermal fillers. Dermatologists have said that this cellulite affects 90 percent of women at some point in their lives. Hormones are connected to cellulite. The great thing about coming in to Clear Sky Medical is that Dr. Meier has a speciality in hormone treatments and understanding fully body reactions to imbalances. Before aesthetics treatment we will learn about your inner health and see what options could help. There are three grades of cellulite and we recommend you come in for a consultation to look at if products like Juvashape will work for you. Liposuction was popular in the past, however many new technologies have come up to help body sculpting without anesthesia. Many new technologies have the benefits of being fast and with no or minimal downtime, however it may take a course of treatments to complete the course. We offer Lipo Resolve Therapy which uses injections to dissolve specific fat deposits caused by age. Injection formulas may include pharmaceutical agents, plant extracts, and vitamins. Lipo Resolve is offered as an alternative to liposuction. It may also be combined with one or more of our Laser Therapies for an even more improved appearance. Restoring collagen and elastin in your face can tighten your skin. 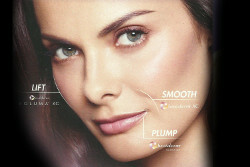 In addition to this you may want to tighten skin without causing volumetric reduction. For skin tightening options we recommend you see our Skin Rejuvenation Page.